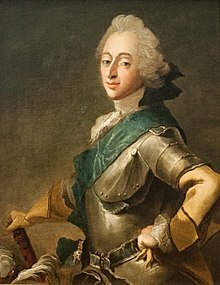 Frederick V (Danish and Norwegian: Frederik; 31 March 1723 – 14 January 1766) was king of Denmark–Norway and Duke of Schleswig-Holstein from 1746 until his death. He was the son of Christian VI of Denmark and Sophie Magdalene of Brandenburg-Kulmbach. Frederick was born on 31 March 1723 at Copenhagen Castle. He was the grandson of King Frederick IV of Denmark and the son of Crown Prince Christian and Sophia Magdalene of Brandenburg-Kulmbach. On 12 October 1730, King Frederick IV died and Frederick's father ascended the throne as King Christian VI. Frederick himself became Crown Prince. Christian VI and Sophia Magdalene were deeply devoted to Pietism, and Frederick was given a strictly religious upbringing. Although not unfamiliar with religious sentiments, Frederick grew into a hedonist who enjoyed the pleasures of life such as wine and women. 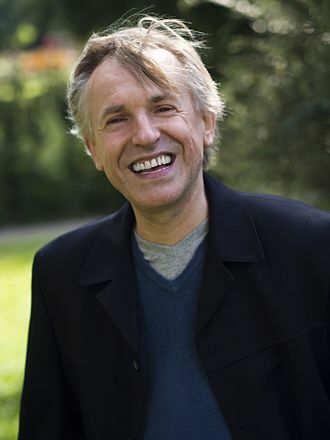 His mother ironically referred to him as "Der Dänische Prinz" (literally The Danish Prince in German) because he occasionally spoke Danish. Frederick's propensity for debauchery accelerated his marriage negotiations. He was married at Altona, Holstein, on 11 December 1743 to Princess Louise of Great Britain, daughter of King George II and Caroline of Ansbach. They were the parents of six children, but one was stillborn. Meanwhile, Frederick continued to enjoy random liaisons with others. Louise pretended not to notice. During the years 1746-51, the king had a favorite named Madam Hansen with whom he had five children. The Norwegian Masonic historian Karl Ludvig Tørrisen Bugge claims that Frederik V as crown prince was included in the Copenhagen Masonic Lodge St. Martin. This was probably third June 1744, and inspired by the Prussian king Frederick the Great who was also included in a masonic lodge in his youth. They both had fathers who were violently opposed to the Masons, but unlike the Prussian king, Frederik V never published his membership of the lodge. As an active Freemason, he set up on 24 June 1749 the first Masonic lodge in Norway. On 6 August 1746 – the day before his parents's silver marriage festivities – his father died at Hirschholm Palace, the royal family's summer retreat. 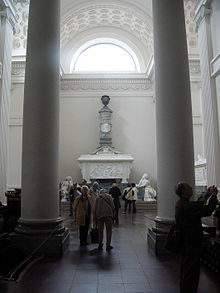 Christian VI was interred in Roskilde Cathedral. 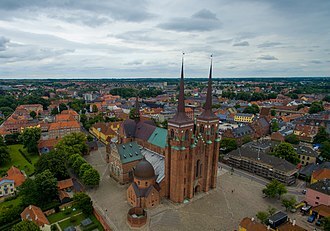 Frederick and Louise immediately ascended Denmark-Norway's throne, being anointed in Frederiksborg Palace's Chapel the following year. The personal influence of Frederick was limited, making him one of absolute rulers who least made for the state's strength. Although the king, as regent, took part in the conduct of government by attending council meetings, he was afflicted by alcoholism and most of his rule was dominated by very able ministers such as A. G. Moltke, whom he had as a favorite, J. H. E. Bernstorff and H. C. Schimmelmann. These men marked his reign by the progress of commerce and the emerging industry of gunpowder plant and cannon foundry in Frederiksværk, built by Johan Frederik Classen. They also avoided involving Denmark in the European wars of his time. 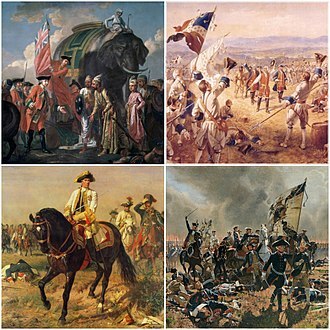 The country remained neutral even for the duration of the Seven Years' War (1756–63), despite its proximity to combatants Russia and Sweden, an act which undoubtedly shaped the perception of the period as a happy time. In the same period the Royal Frederiks Hospital and the Royal Orphanage (Det kgl. 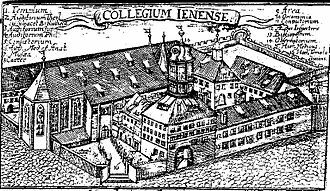 Opfostringshus) was created, a school intended for poor boys that still exists today, opened in Christianshavn on 1 October 1753. On 29 June 1753 Frederick V created Denmark's first lottery, called the Royal Copenhagen Lottery – a lottery that exists to this day as Klasselotteriet. Count Moltke's appointment as Lord Chamberlain – an office that had previously been a mere court post – was now an outstanding position that gave Moltke opportunity as the king's confidential friend to be around him from morning till night, with the king talking to him about whatever was on his mind, which enabled Moltke to make his influence felt in all areas where he pleased. One of his main tasks was to take care that his dissolute Majesty didn't damage the Royal household's reputation with his constant orgies. 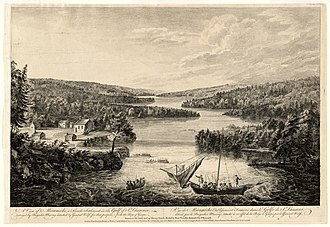 Frederick's main interest was primarily the arts of war that rivalled the anti-military attitudes that characterized his counsellors; he enjoyed hunting and stayed often at the Jægersborg Dyrehave estates. Art and science prospered under his reign, and although he wasn't personally interested in cultural affairs, the public entertainment and freedom of expression that had been banned under the pietistic hypocrisy (characterized during his father's reign) was again permitted. This change was influenced by his first wife, and in 1748 Nicolai Eigtved's Komediehus (Playhouse) on Kongens Nytorv was opened, and the Royal Danish Academy of Art (Det Kongelige Danske Kunstakademi) in Copenhagen was also founded under his name and officially inaugurated on 31 March 1754, his 31st birthday. Frederick purchased what would become known as the Danish West Indies from the Danish West India Company in 1754. Louise died suddenly on 19 December 1751 at Christiansborg Palace, predeceasing her husband by fourteen years and causing great impact on the royal family and the court's life, where she was adored. She was buried with great pomp at Roskilde Cathedral. At the time of her death, she was pregnant with her sixth child, who also died. A new marriage for the king, arranged by Moltke, took place at Frederiksborg Palace on 8 July 1752 to Frederick the Great of Prussia's sister-in-law Duchess Juliana Maria of Brunswick-Wolfenbüttel, daughter of Ferdinand Albert II, Duke of Brunswick-Lüneburg. The marriage was frowned upon by the people who saw it as too early for the King remarry. Neither did the formal princess appeal to his own taste, and with the court she was never popular – with no other identifiable cause than her sense of rigid etiquette, practised in German princely courts, that may have seemed less friendly than the English Louise. During his second marriage, the king had a relationship with Charlotte Amalie Winge. Their most notable child was the Hereditary Prince Frederick, who was, in his turn, father of King Christian VIII of Denmark and grandfather of Louise of Hesse, the future queen of Denmark. She died in 1796, having been regent for her son Prince Frederick. In 1760 Frederick broke his leg in a drunken accident, which greatly weakened him. According to Dorothea Biehl's statements the king was often seen in a condition "where his arm was not strong enough to bring his hat on his head again without Moltke's help." 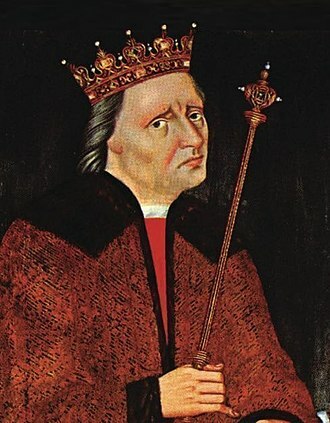 The king died at the age of forty-two, after a twenty-year reign. He had been a pleasant change compared to the pious Christian VI's autocracy, and when Frederick died there were many who mourned. His last words were reportedly: "It is a great consolation to me in my last hour that I have never wilfully offended anyone, and that there is not a drop of blood on my hands." King Frederick V is interred in Roskilde Cathedral next to Queen Louise. Statue of Frederick V on horseback by Jacques Saly at the centre of the Amalienborg Palace Square. 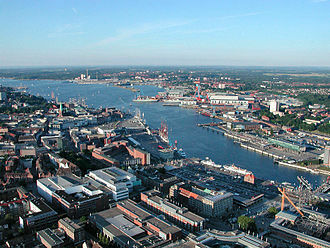 It was commissioned by Moltke, as Director of the Danish Asiatic Company. On 1 August 1771, five years after the king's death, an equestrian statue of Frederick V dressed in the garb of a Roman emperor by the French sculptor Jacques François Joseph Saly was unveiled in Amalienborg Square in Copenhagen. The town of Frederiksværk on the island of Zealand, the town of Frederiksted on the island of St. Croix, U.S. Virgin Islands, as well as the district Frederiksstaden in Copenhagen are named after Frederick V. The city of Serampore in the Indian state of West Bengal was known under the name Frederiksnagore from 1755 to 1845 when it was part of Danish India, and the city of Paamiut in Greenland was formerly known as Frederikshaab, both in his honor. 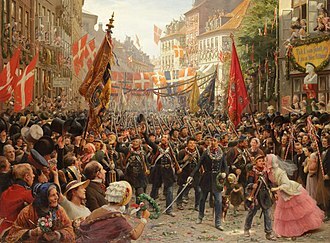 Within one hundred years of his time, Denmark faced the crisis of his male issue (the main branch of the Royal House) becoming extinct. This created a succession crisis beginning from his grandson's reign that affected both Denmark and Schleswig-Holstein. Finally, his great-grandson through the female line, Christian IX of Denmark, who was married to his great-granddaughter Louise of Hesse-Kassel (or Hesse-Cassel), became the designated heir. Frederick V appears in the early part of The Visit of the Royal Physician (Livläkarens besök), a 1999 historical novel by Per Olov Enquist, which mainly deals with his son Christian VII. As depicted in the book, Frederick's contemptuous and overbearing attitude to his son had a significant part in causing the mental instability which characterized Christian's life and reign. The full title of the sovereign was: By the Grace of God, King of Denmark and Norway, the Wends and the Goths, Duke of Schleswig, Holstein, Stormarn and Dithmarschen, Count of Oldenburg and Delmenhorst. ^ Frederik den Femtes Hof, Charlotte Dorothea Biehls Breve og Selvbiografi. Wikimedia Commons has media related to Frederik V of Denmark. Louise of Great Britain was Queen of Denmark and Norway from 1746 until her death, as the first wife of King Frederick V. She was the youngest surviving daughter of George II of Great Britain, Princess Louise was born as the fifth daughter and youngest child of the Prince and Princess of Wales, on 7 December 1724, at Leicester House, London. She was baptised Louisa there on 22 December and her godparents were her elder sister and two cousins, Princess Amelia of Great Britain, Princess Louisa Ulrika of Prussia, and Frederick, Prince Royal of Prussia, Frederick the Great. On 11 June 1727, when Louise was two old, her grandfather, George I, and her father ascended the throne as George II. On 30 August, as a child of the sovereign, Louise was granted use of the arms of the realm, in a dynastic marriage, Louise wed Prince Frederick of Denmark and Norway on 11 December 1743 in Copenhagen. A first ceremony was conducted on 10 November 1743 in Hannover with her brother, the marriage was proposed by Great Britain. 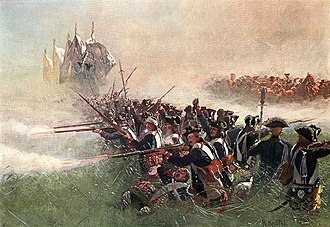 At the time of the marriage, both France and Great Britain wished to make an alliance with Denmark, and Great Britain had the advantage of being able to make a marriage alliance. Fredericks father, King Christian VI, hoped the marriage would lead to British support for his or his sons claim to the throne of Sweden, on a more personal level, there were hopes that marriage would suppress the frequent drinking and debauched behavior of the Crown Prince. 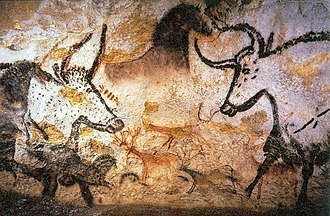 The couple had five children, one of whom did not survive infancy, although the marriage was arranged, the couple got along quite well, and at least during the first years, their relationship was described as happy. Frederick was comfortable with her, and Louise pretended not to notice his adultery, though Frederick came to feel high regard for her and always treated her with kindness, however, he reportedly was not in love with her and continued to have affairs after their marriage. She quickly made herself popular in the Danish court, and her father-in-law remarked that she seemed to him to be kind, when her husband ascended the throne, on 6 August 1746, as Frederick V, Louise became Queen of Denmark and Queen of Norway. Sophia Magdalena of Denmark was Queen of Sweden as the spouse of King Gustav III. She was therefore referred to as Crown Princess of Denmark. In the spring of 1751, at the age of five, she was betrothed to Gustav, the apparent to the throne of Sweden. The marriage was arranged by the Riksdag of the Estates, not by the Swedish royal family, the engagement was met with some worry from Queen Louise, who feared that her daughter would be mistreated by the Queen of Sweden, Louisa Ulrika of Prussia. In 1760, the betrothal was again brought up by Denmark, the negotiations were made between Denmark and the Swedish Queen, as King Adolf Frederick of Sweden was never considered to be of any more than purely formal importance. She negotiated with Catherine the Great and her brother Frederick the Great to create some political benefit for Denmark in exchange for a broken engagement. Fredrick V of Denmark was eager to complete the match, His Danish Majesty could not have the interests of his daughter sacrificed because of the prejudices and whims of the Swedish Queen. When a portrait of Sophia Magdalena was displayed in Stockholm, Louisa Ulrika commented, why Gustav and she looks stupid, after which she turned to Prince Charles and added, She would suit you better. On 1 October 1766, Sophia Magdalena was married to Gustav by proxy at Christiansborg Palace in Copenhagen with her brother Frederick as representative of her groom. She traveled in the royal golden sloop from Kronborg in Denmark over Öresund to Hälsingborg in Sweden, when she was halfway, the Danish cannon salute ended, and the Swedish started to fire. As she was about to set foot on ground, Gustav was afraid that she would fall, a reply which quickly became a topic of gossip at the Swedish court. The couple traveled by land toward Stockholm, being celebrated on the way and she met her father-in-law the King and her brothers-in-law at Stäket Manor on 27 October, and she continued to be well-treated and liked by them all during her life in Sweden. Thereafter, she met her mother-in-law the Queen and her sister-in-law at Säby Manor, at this occasion, Countess Ebba Bonde noted that the impression about her was, By God, how beautiful she is. William IX, Wilhelmine Caroline of Denmark, and their children, Wilhelm, Friederika and Caroline. Painting by Wilhelm Böttner, 1791.